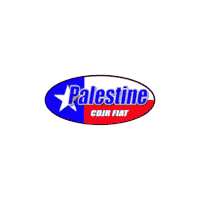 Elliott Chrysler Dodge Jeep Ram Fiat Palestine has the expert finance team that can help you investigate financing options in Palestine, TX today. Buying a new, used, or Certified Pre-Owned vehicle can be an exciting time in your life. However, it can sometimes also be one of the most stressful times in your life if you are not sure how you are going to pay for your purchase. Our experts at Elliott Chrysler Dodge Jeep Ram Fiat Palestine can take the stress out of financing. There are a couple of options you can choose from when you finance your vehicle. The one you are probably most familiar with is purchasing. When you purchase your vehicle, you own it after you have paid it off. This type of financing is typically done through financial institutes like banks or credit unions. We work with multiple lenders both nationally and locally in order to get our customers the best interest rates available. There is typically a down payment required for this type of loan. The other popular type of financing is leasing. When you lease, you are borrowing the vehicle for typically 3 years. You only pay a portion of the total cost, which can make your payments lower. There are restrictions that apply to leases and sometimes they can be acquired with no money down. For more information on these finance options, talk to our finance experts at Elliott Chrysler Dodge Jeep Ram Fiat Palestine today. Getting approved for a loan or a lease can depend on several things. The biggest factor is probably credit. Those with good or excellent credit typically have no issues getting approved for financing but those who suffer from bad credit due to a divorce, medical bills, or other factors can have a more difficult time getting approved. Those with no credit may have a more difficult time getting approved as well. The other things that may affect your ability to gain approval are your employment status as well as your income. At Elliott Chrysler Dodge Jeep Ram Fiat Palestine, it is our goal to get you approved financing. We know the ins and outs of the financing world and we work with a wide variety of lenders, come see us and see what you qualify for. Our team of financing experts is standing by to help you investigate financing options as you browse our new, used, or Certified Pre-Owned vehicles. If you know which vehicle you want and you want to save time, you can always fill out our online credit application prior to your visit. If you would like to come see us in person to get started, we are happy to help and standing by to serve you. Do you have questions? We are available online, by phone, and in person to answer all of your questions at Elliott Chrysler Dodge Jeep Ram Fiat Palestine today.